Gentle Giant’s line of jumbo vintage Kenner figures has been way more successful than I originally expected. 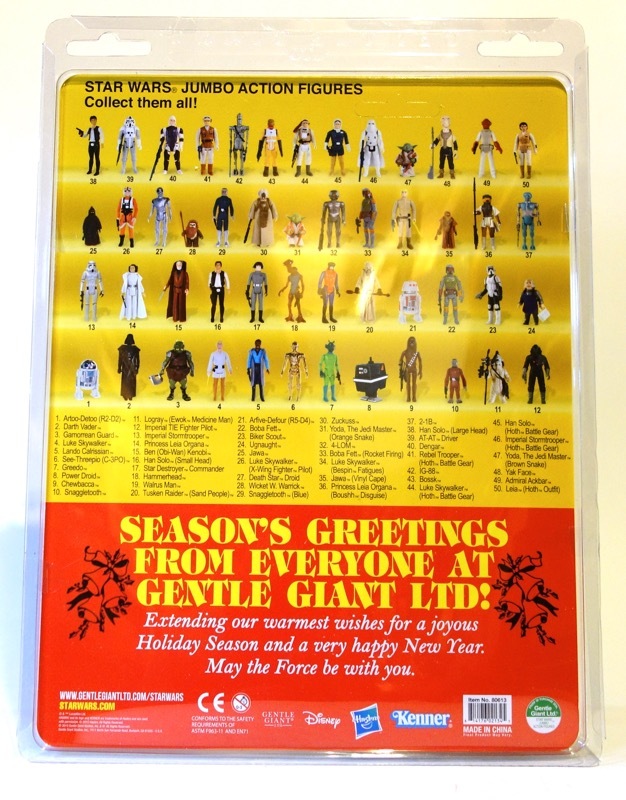 As you can see by looking at the back of the package above, they have 50+ figures in the line, and while none have been announced recently (leading many to wonder about the line’s future), Gentle Giant claims that more are on the way. 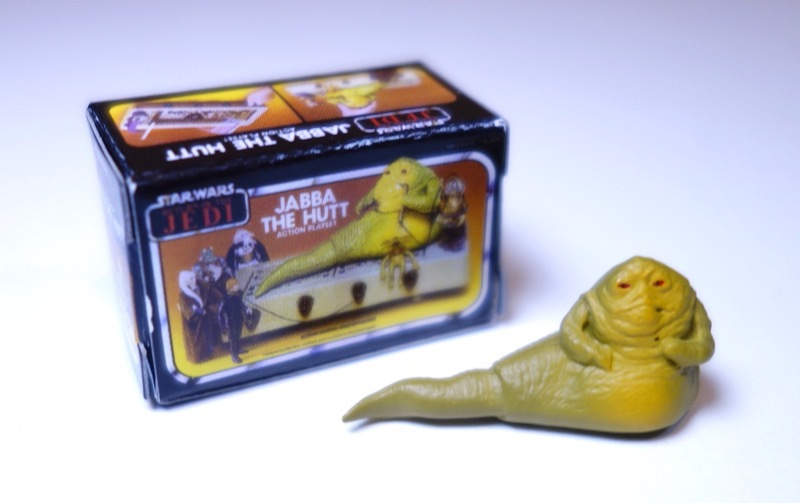 In particular, the jumbo Jabba the Hutt figure that they previewed at SDCC in July should be on its way sometime next year, although they have yet to open up preorders or even say for sure how much it will cost, or what it will include. 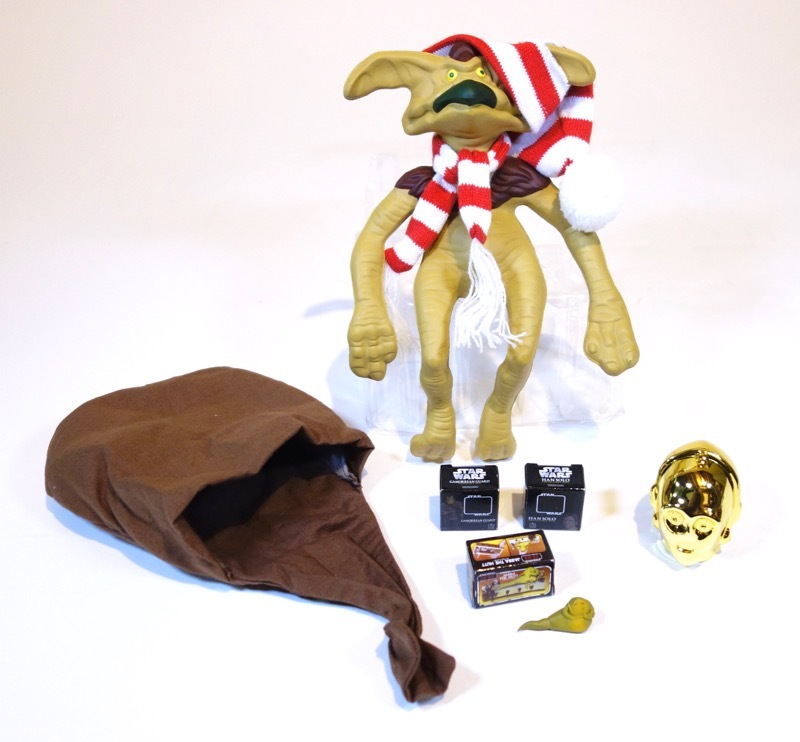 We do know that it’s supposed to include a jumbo Salacious Crumb, however, and that’s what you get in this Holiday version available to Premier Guild members. Salacious has a sack wrapped around him in the package, and in the sack are various goodies. 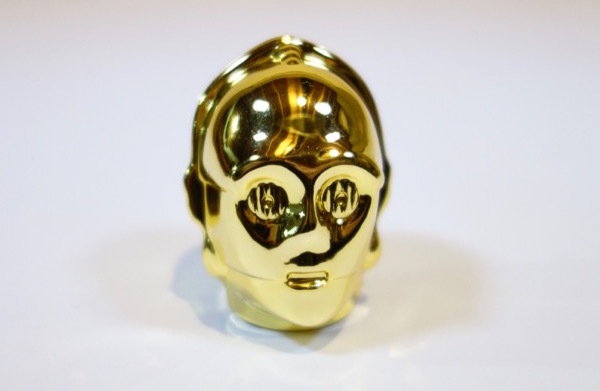 He’s got a hat and scarf that he can wear, but also a nice chrome gold C-3PO head. 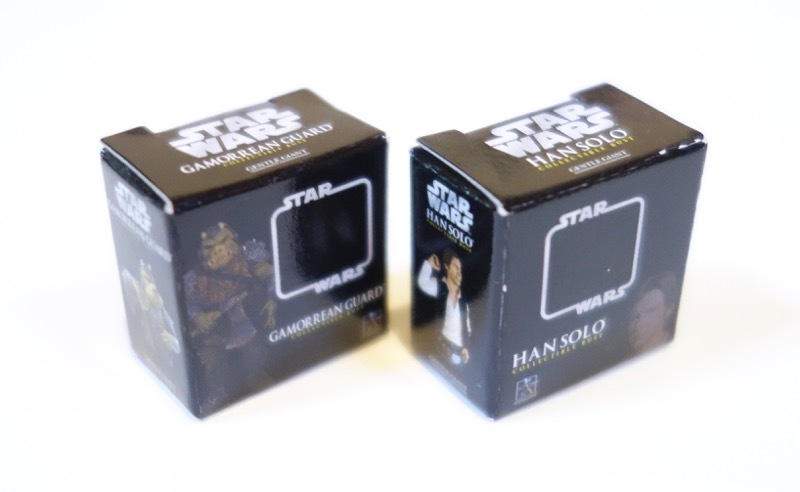 There are two empty boxes that recreate the packaging for Gentle Giant’s Gamorrean Guard and Han Solo busts. And finally, the star of the show (for me anyway!) 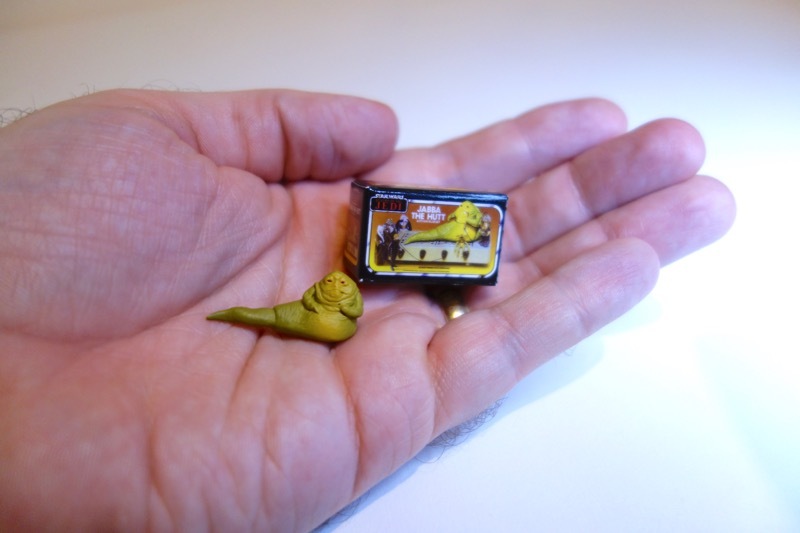 is a tiny vintage Jabba the Hutt Action Playset box, complete with a teeny tiny Jabba figure. 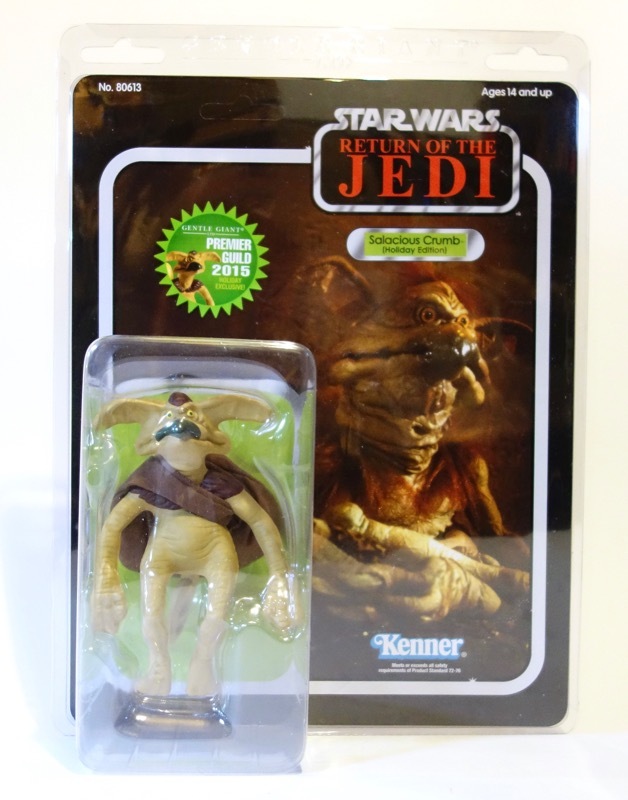 At the usual $80 price for these jumbo figures, Salacious Crumb seems a little underwhelming. He’s small and not articulated, so these extras do go a little ways to make up for that. The figure itself is pretty nice. It feels very solid and heavy, which is kind of unusual for these jumbo figures. Most of them seem unnaturally light due to their hollow nature. It’s not a perfect match for the vintage Salacious by any means (for one thing, the vintage figure is made of a rubbery material and this one is hard plastic or vinyl), but it’s pretty close. I did notice that there are large seams along the edges of the jumbo figure that aren’t found on the vintage one. This really makes me want to get the jumbo Jabba figure. I don’t think I can quite wrap my head around how gigantic that one is going to be… I also made a YouTube review of this figure, which you can see below.